A whole world of experiences awaits you in any of our three resorts where guests are placed exactly where they belong to: at the centre of our attention. 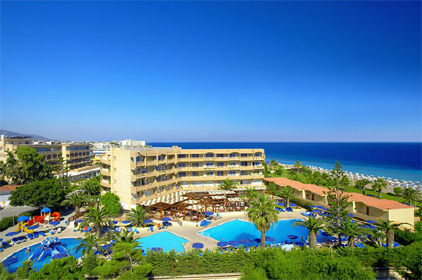 Our luxury resorts in Greece are located in the most popular holiday spots of Rhodes and are renowned for the first class services, cuisine and recreational facilities offered. Whether you choose to stay in a quality four star family hotel, a more luxurious five star resort or maybe require a top of the range luxury hotel in Rhodes with executive floors and state of the art spa facilities, rest assured that our hotels are amongst the finest in Greece. 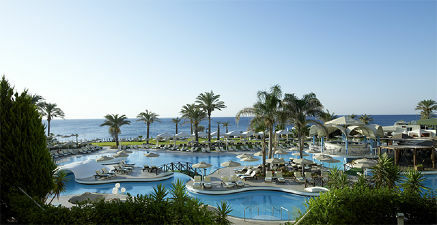 Our luxury resorts in Greece are located in the most popular holiday spots of Rhodes and are renowned for the first class services, cuisine and recreational facilities offered. Whether you choose to stay in a quality four star family hotel, a more luxurious five star hotel or maybe require a top of the range luxury hotel in Rhodes with executive floors and state of the art spa facilities, rest assured that our hotels are amongst the finest in Greece. Just choose what type of resort is closer to your taste and let us show you what we really mean when we say making a difference to your holiday in Greece. With a vision in making a difference when it comes to holidays in Greece, the Harmony Resorts group has a proven track record in doing exactly that.